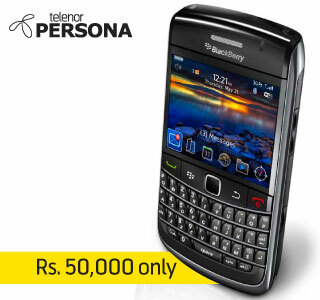 Telenor finally touched the executive market of Blackberry customers with the new handset, Blackberry Bold 9700 at a nominal rate of Rs.50,000 only. Telenor is currently giving this handset to their Persona Family customers only. Telenor is starting the sale of this handset from February 2010, but the booking is on so that you can get the handset at the start of this February. I think it worths 50K, but I dont understand why these companies are not offering plan which let the user buy this set on installment. I am sure it will enhance their sell, and will open market for other companies also, like HTC and iPhone and T-Mobiles.